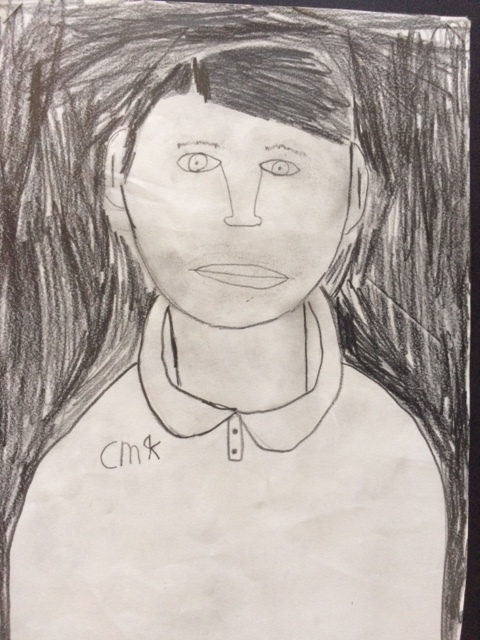 Room 2 Artists at Work! everyone’s finished results are a bit better than their first draft. 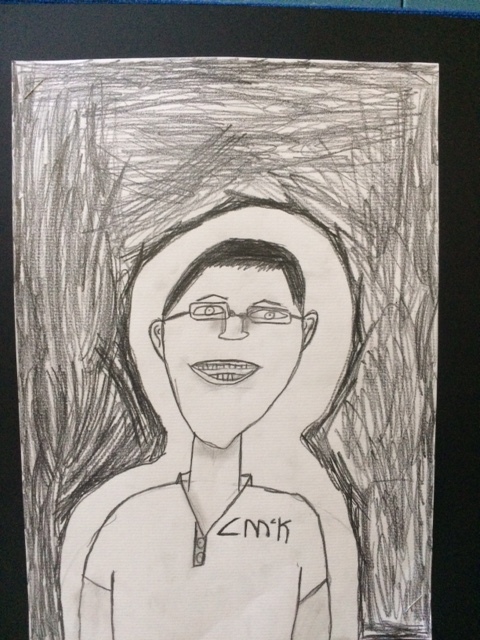 When we finished our draft we got a special piece of paper that we would start our good copy on. 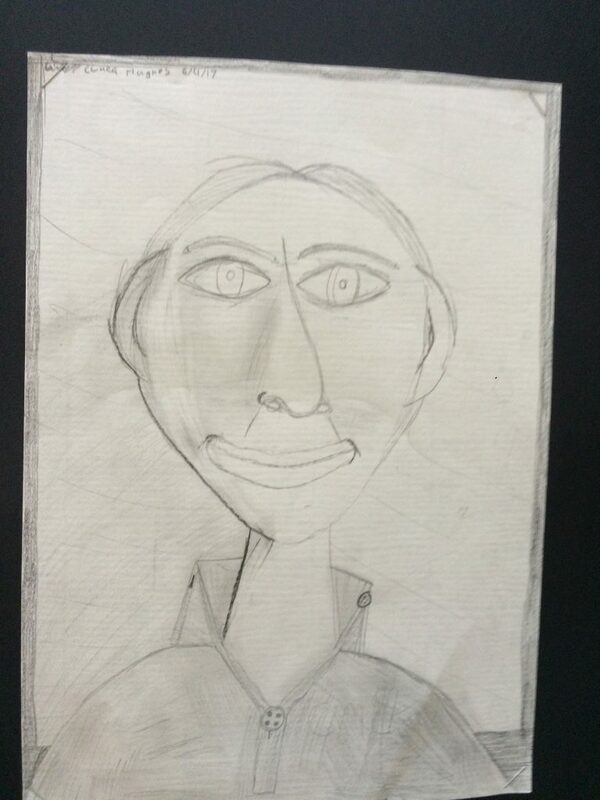 On the good piece of paper we got to do shading with the special pencils. 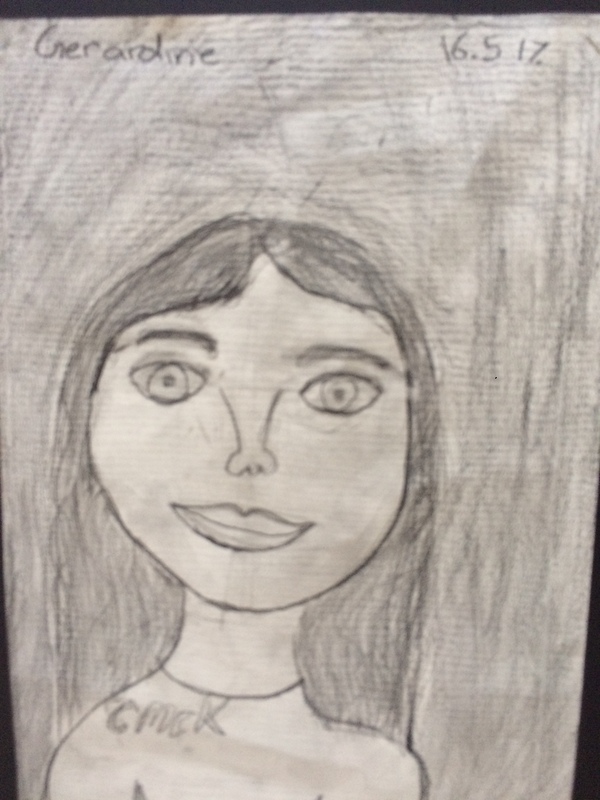 They all looked great when they were finished and we were very pleased. 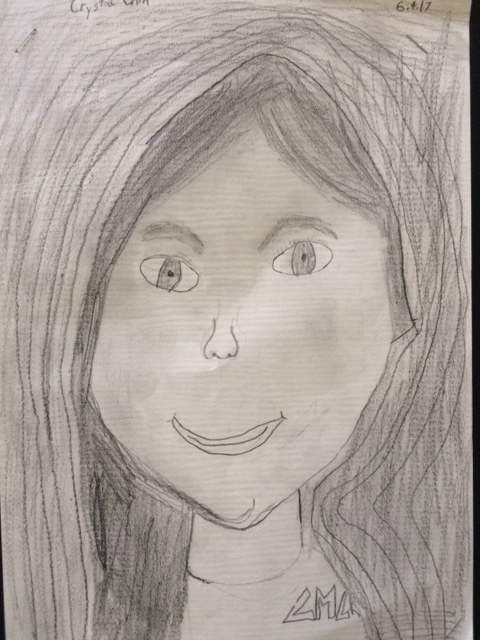 In the middle of term one we started our own self portraits. 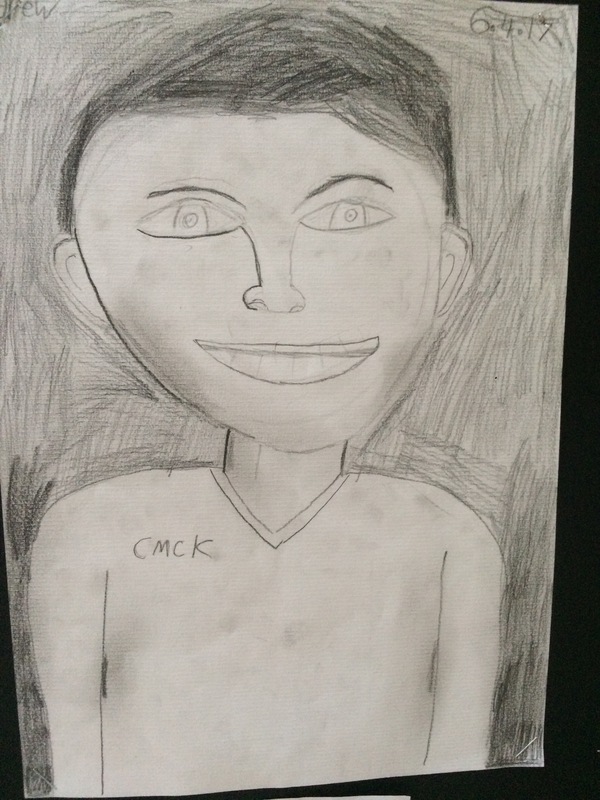 Firstly we did our draft and used this to copy off while we did our proper one. 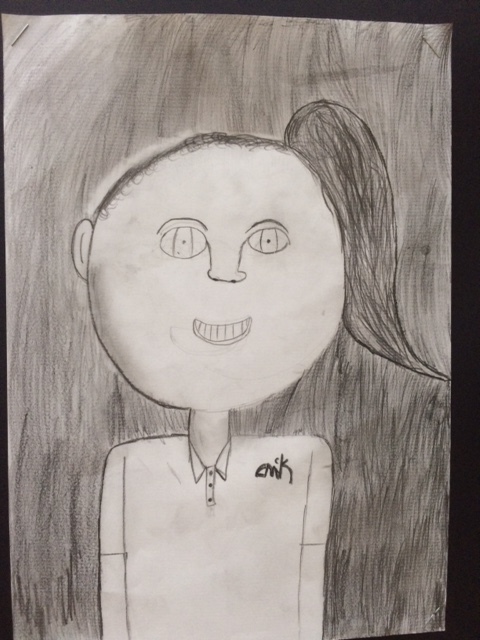 We needed to put more detail in when we did our good copy. 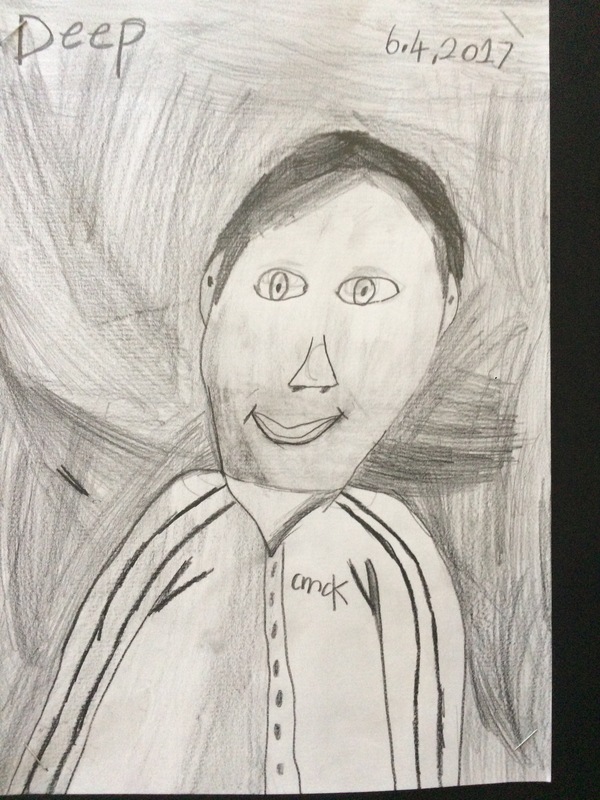 Once we had done our drafts we did our portrait, we started with our shoulders and we then did the face and we did tons of detail. After that came the shading of your face and then we did the background. 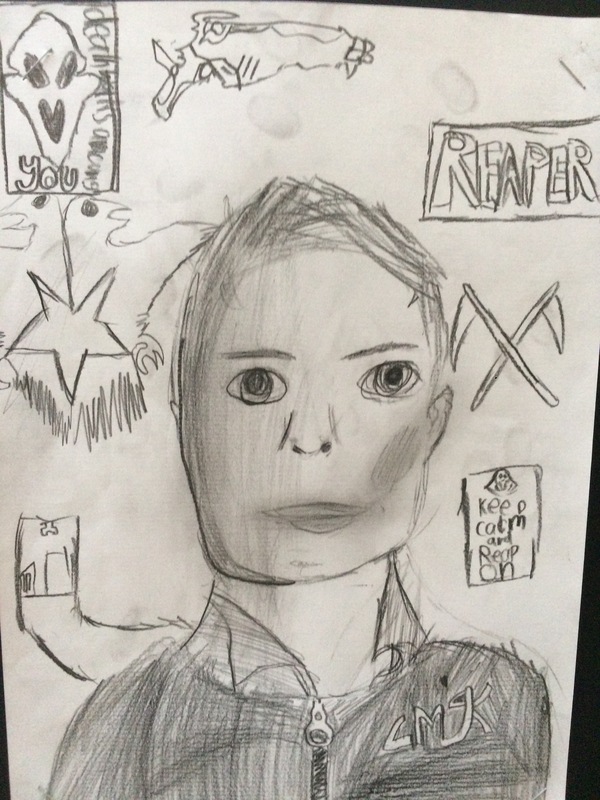 It was lots of fun and I loved it. 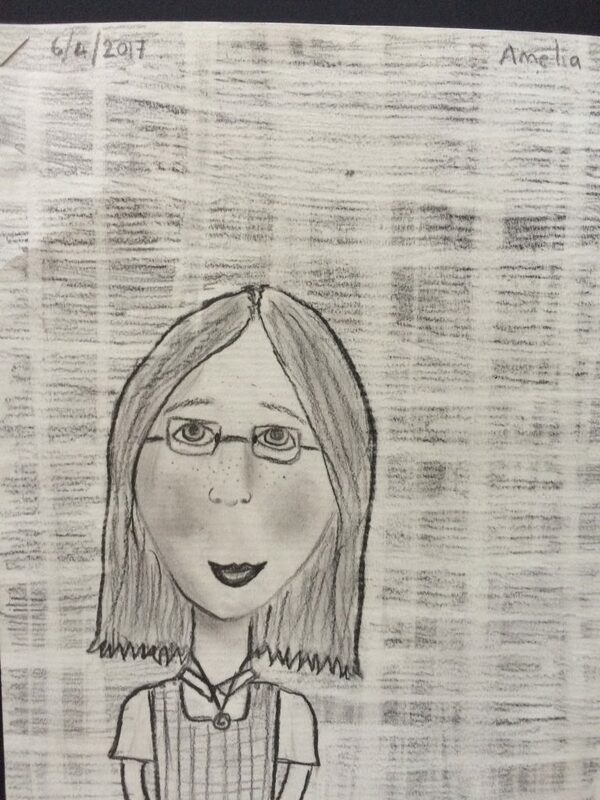 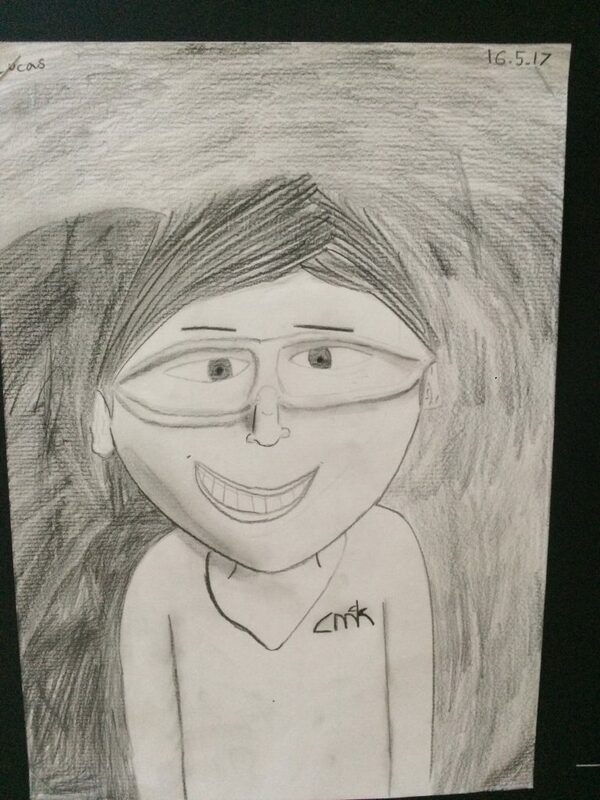 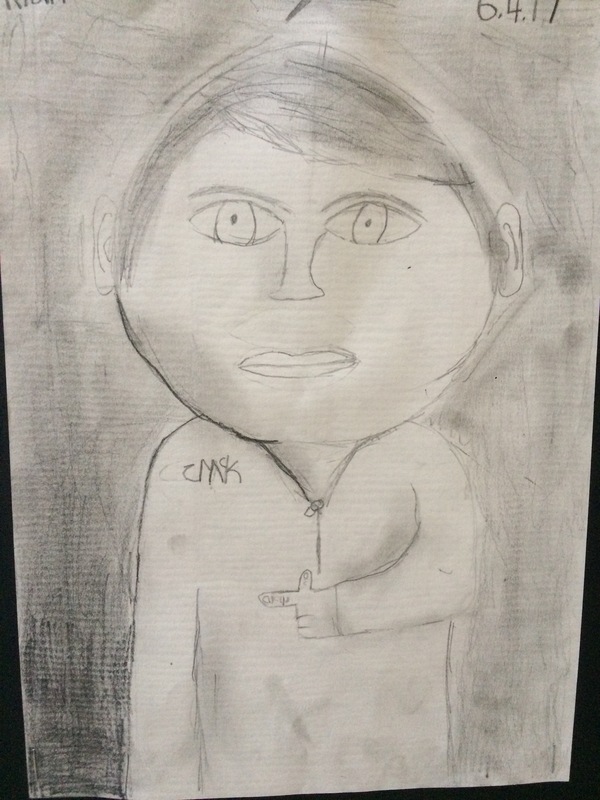 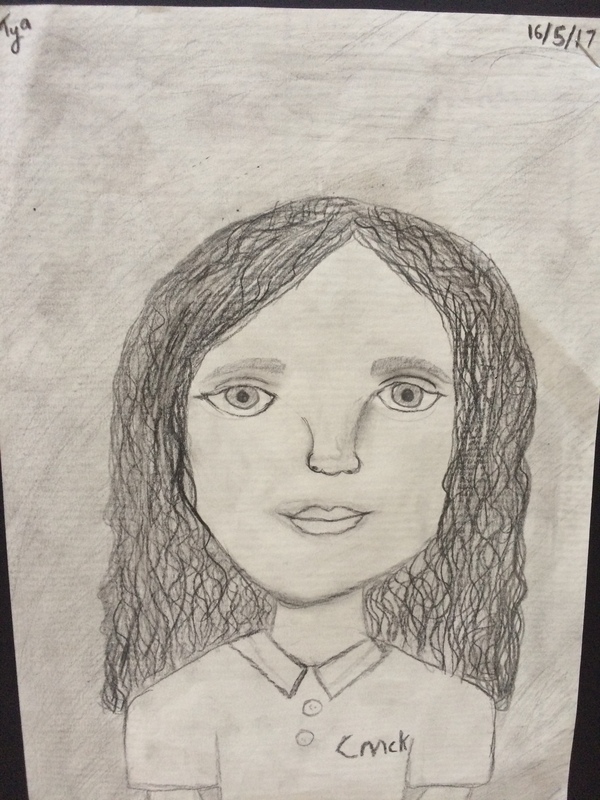 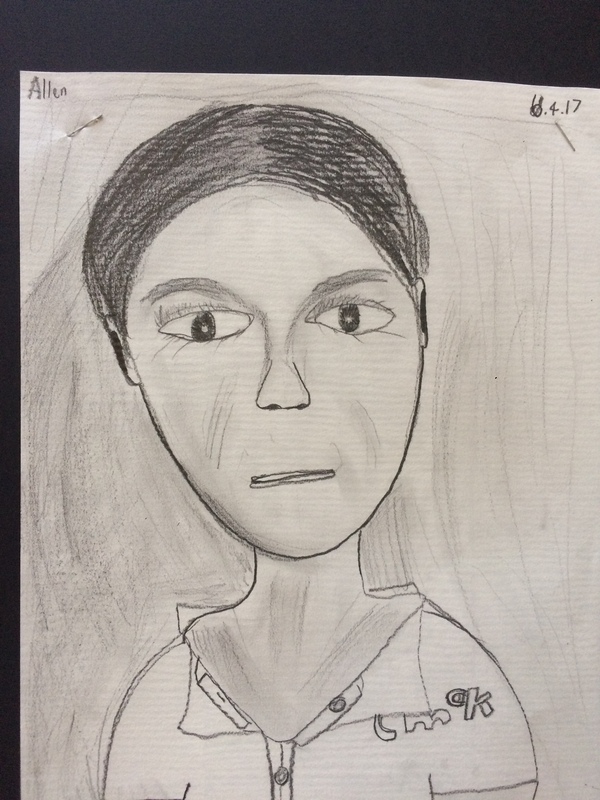 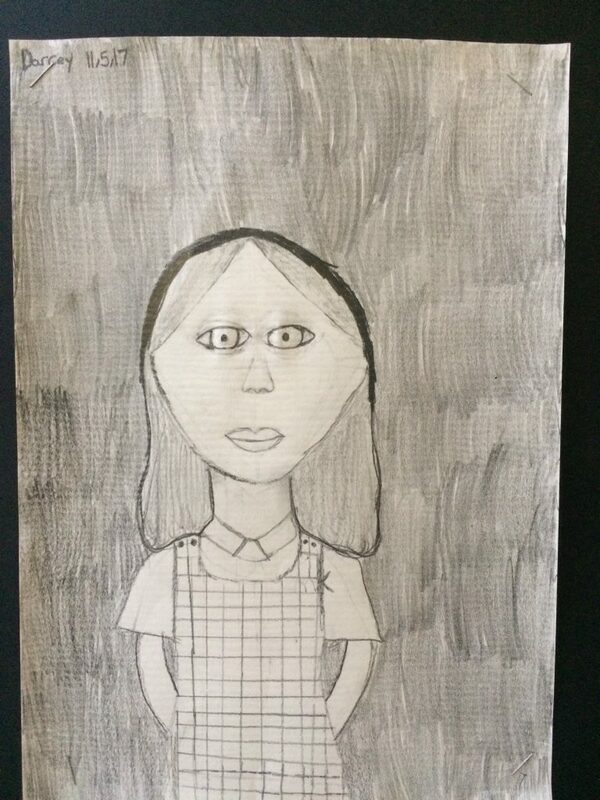 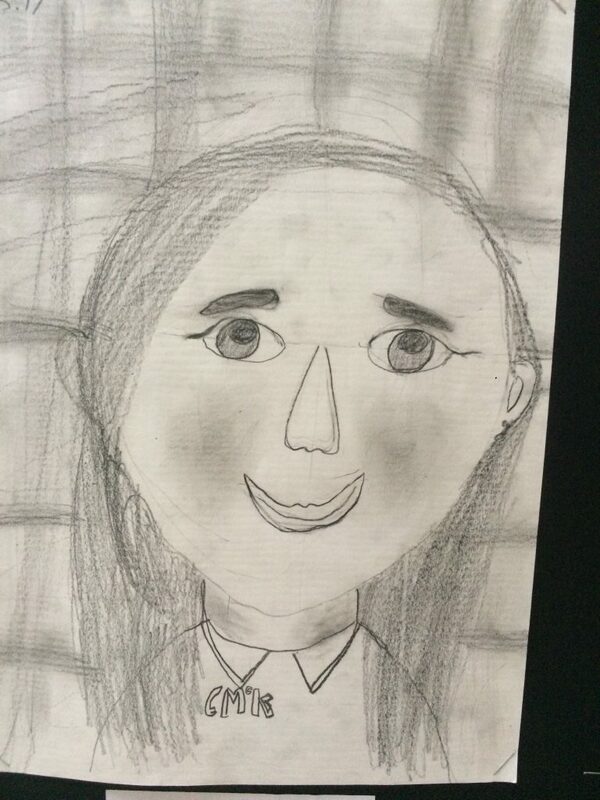 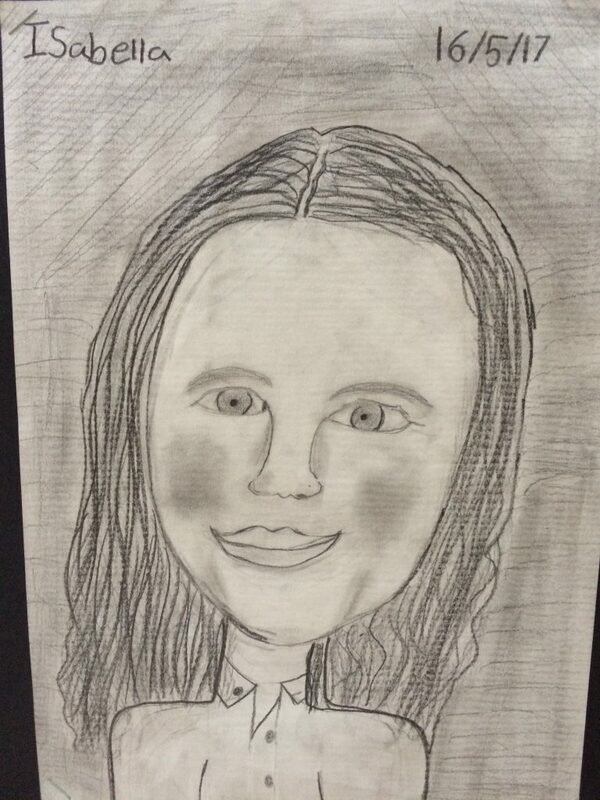 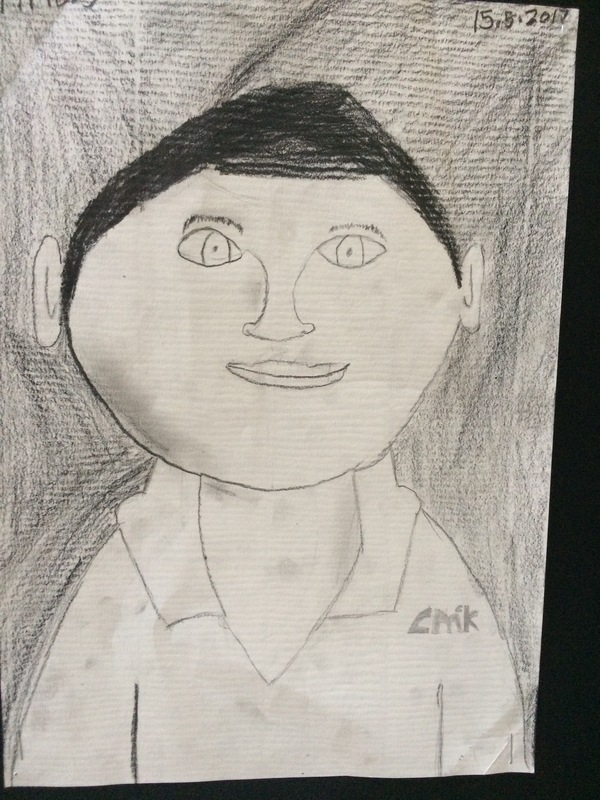 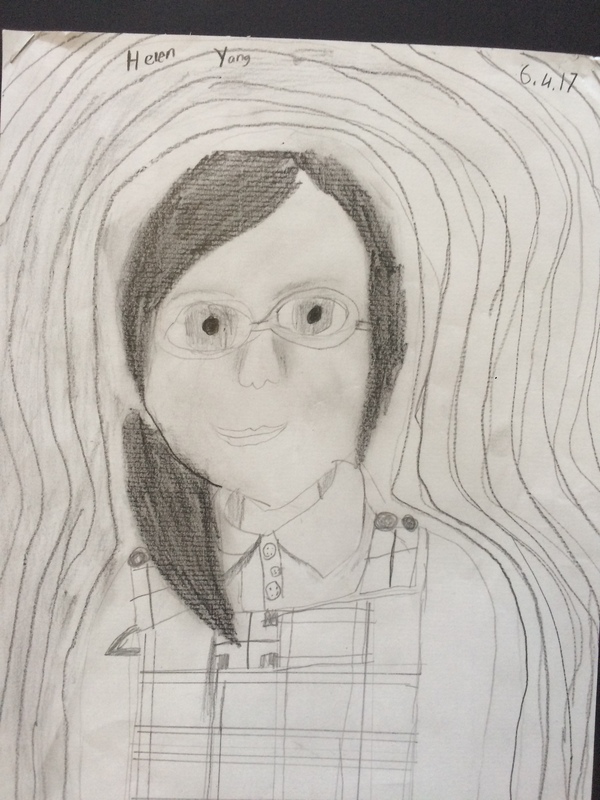 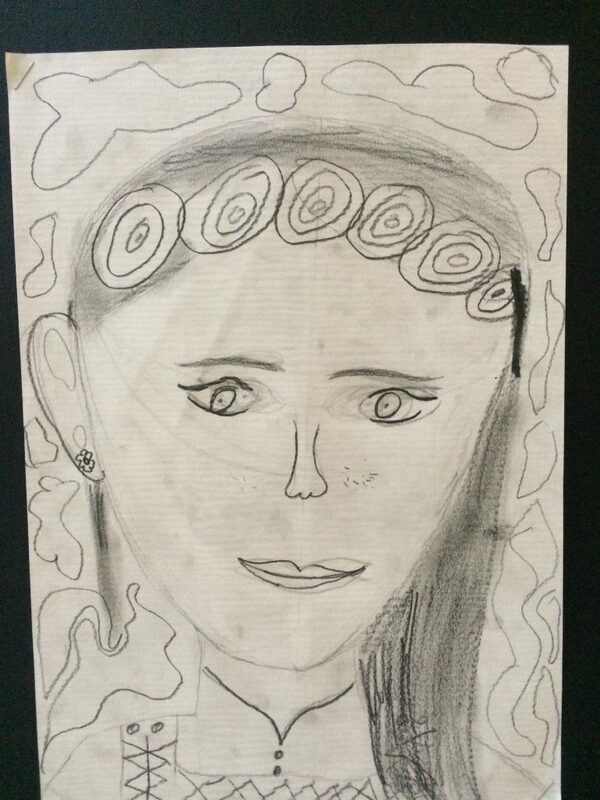 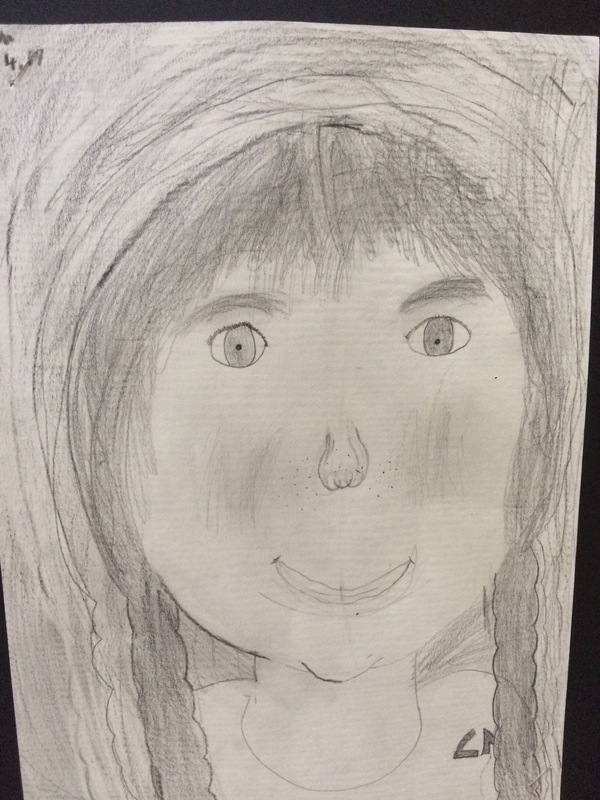 This Term we have been doing self portraits . 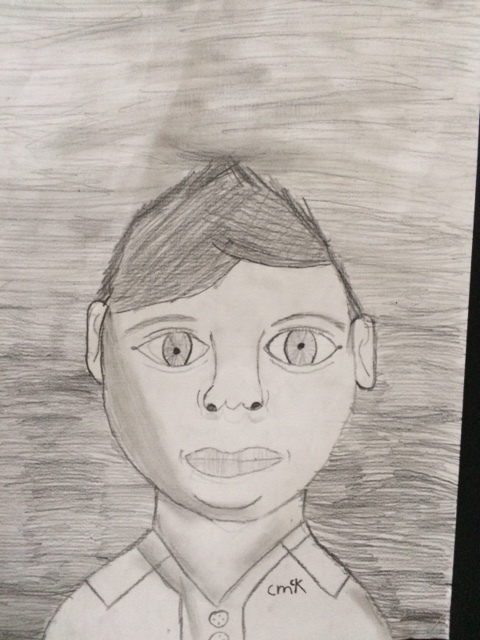 We used art pencils so we could smudge and make it look more realistic. It took a long time and they are outside room 2 if you want to see them. 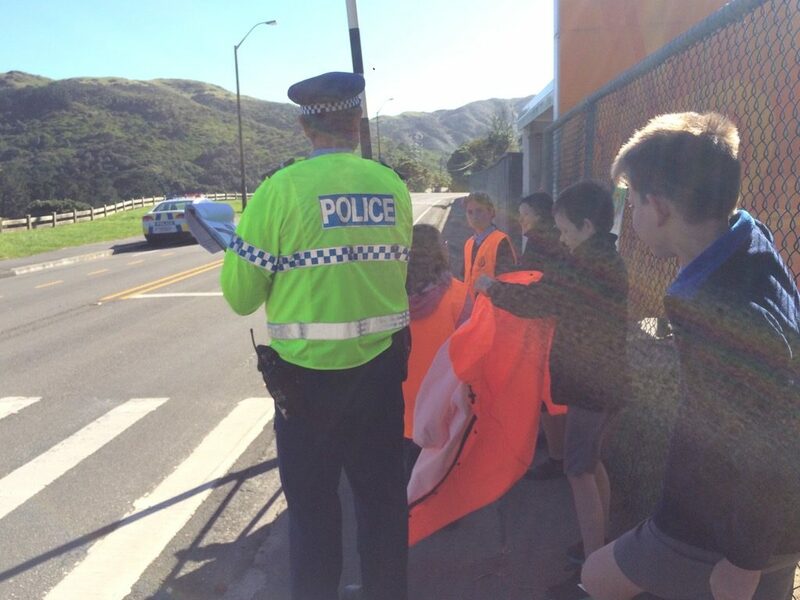 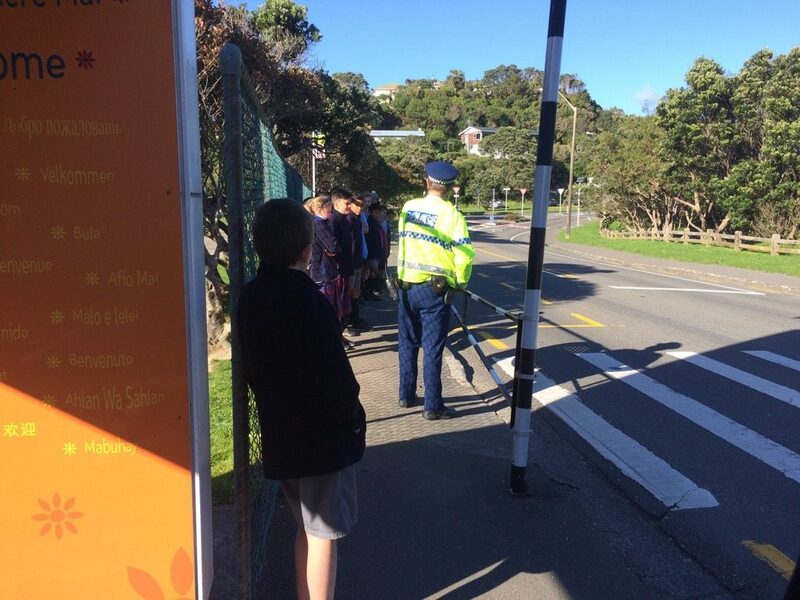 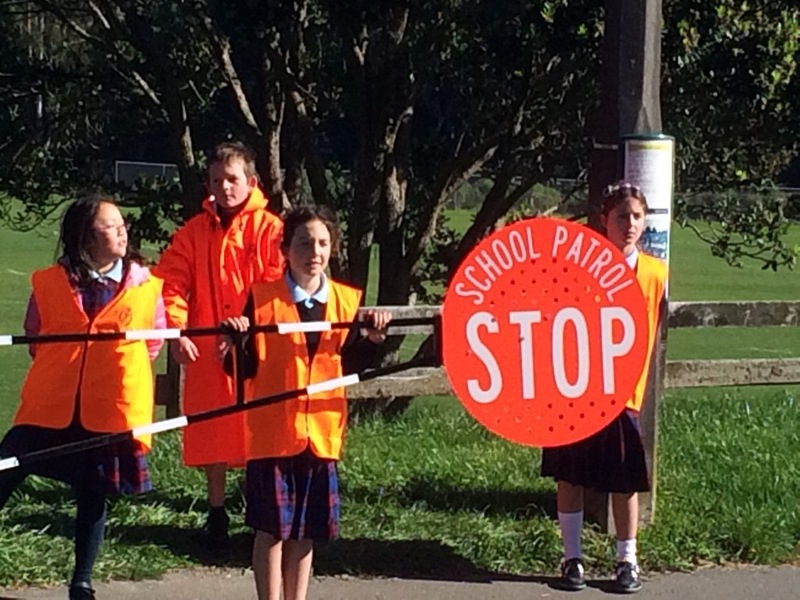 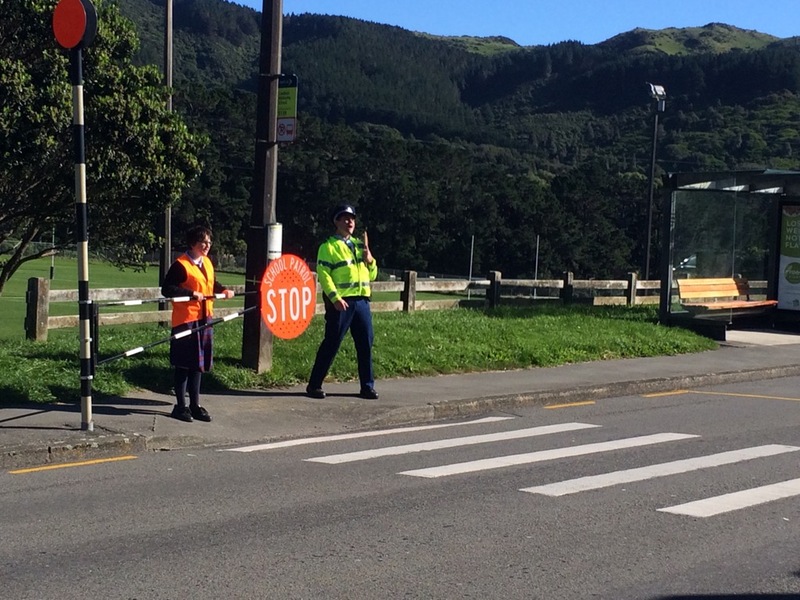 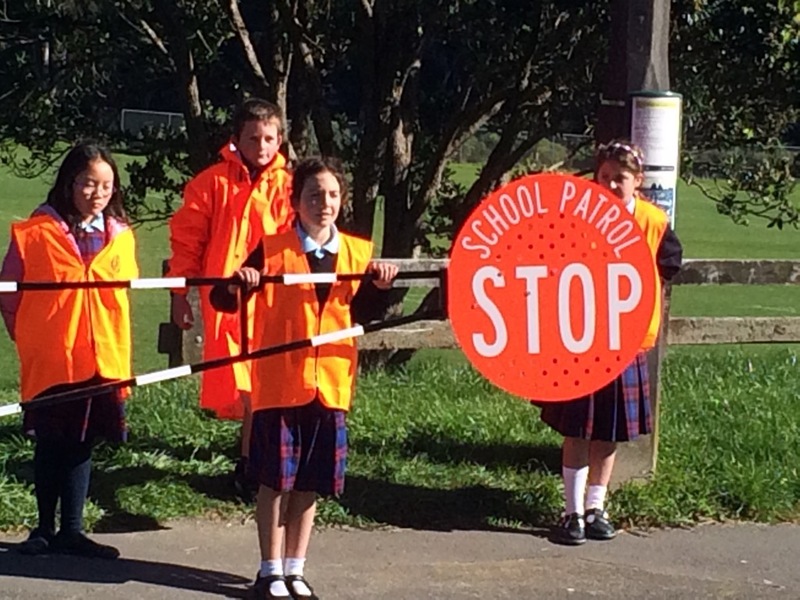 Last Friday our amazing Yr 6-8 students trained as school road patrollers. 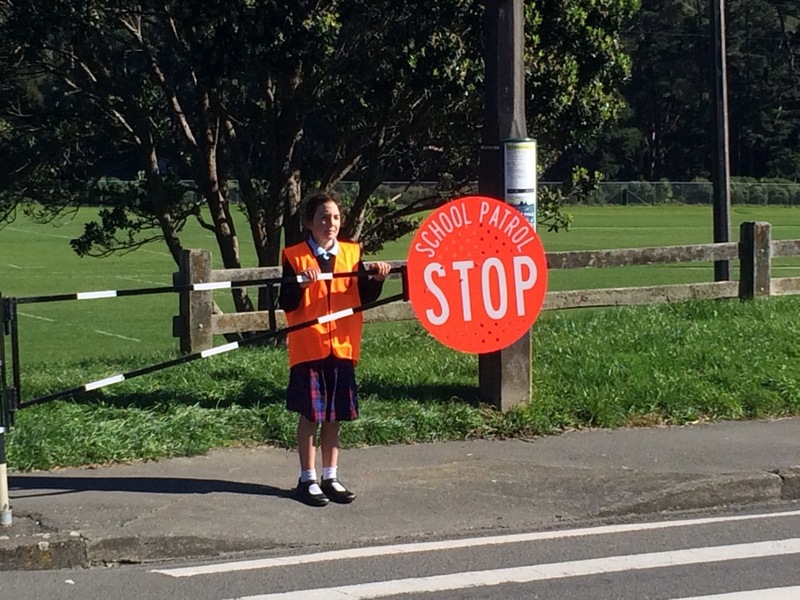 You will have noticed that they have begun controlling the crossing outside our school with the parent supervisor. 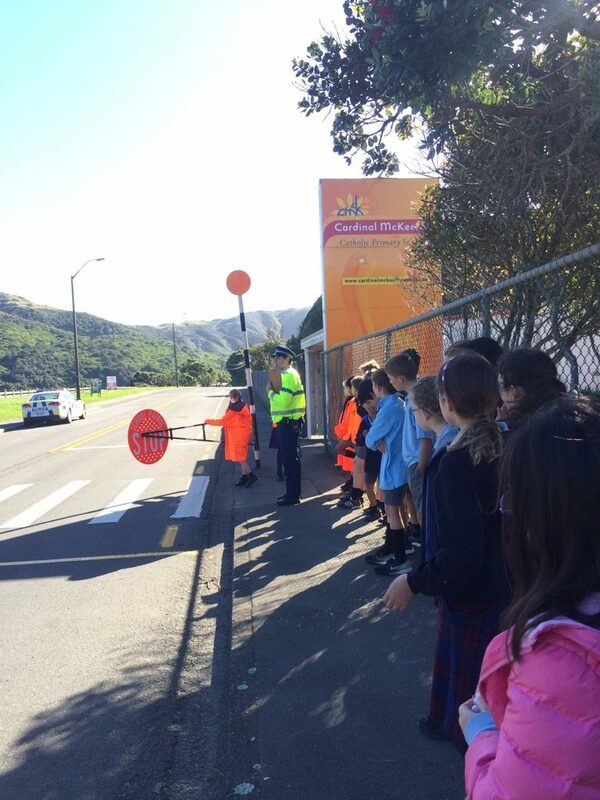 For many of you this is a new experience and it is important you wait for the Cross Now call that means the students believe it is safe for you to cross. 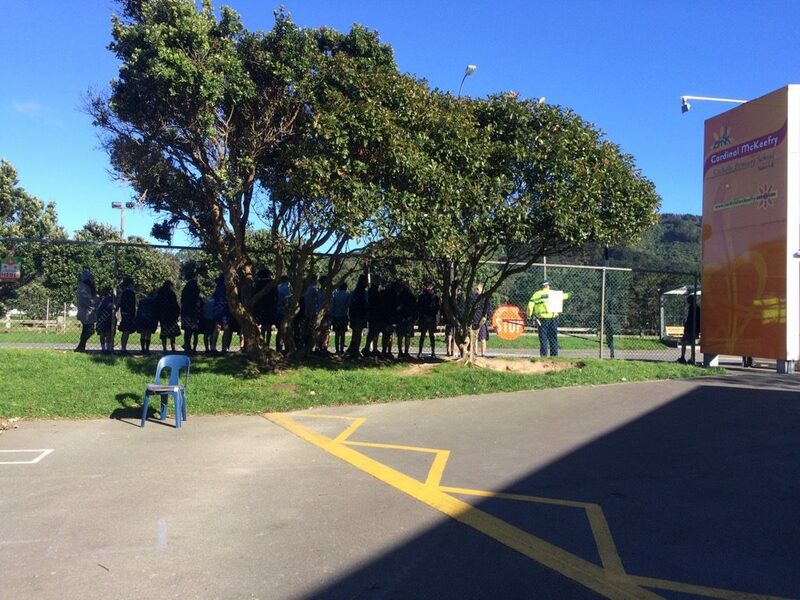 As you know we encourage everyone to drop off students on our school courts. 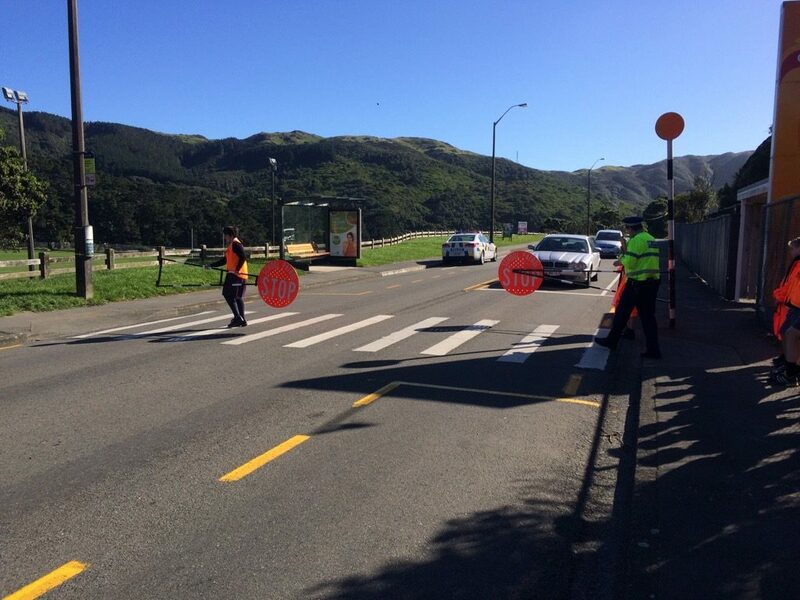 If this is not possible please support our student controllers by parking well forward or back from the crossing. 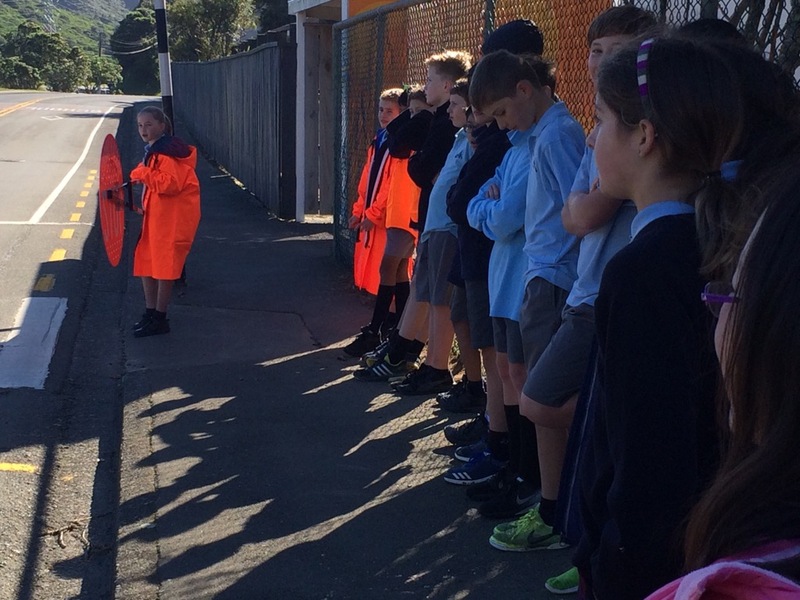 The student controllers are too short to see the road past your cars.